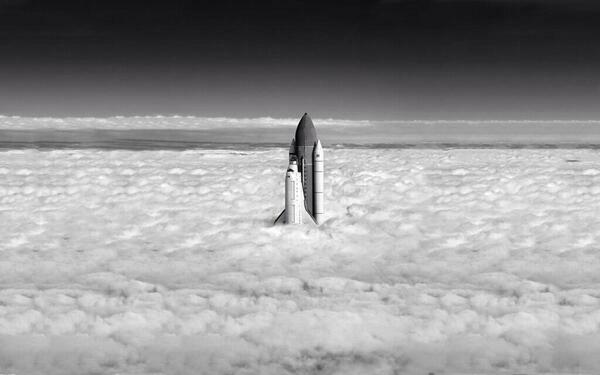 Is this really a photo of a space shuttle breaking through the clouds? This is actually a photo manipulation by Richard Silvera. This photoshop job was made using two separate images: 1) space shuttle Atlantis by NASA and 2) photograph of clouds taken from an airplane. See also: Hoax of Fame (color version of the same image).